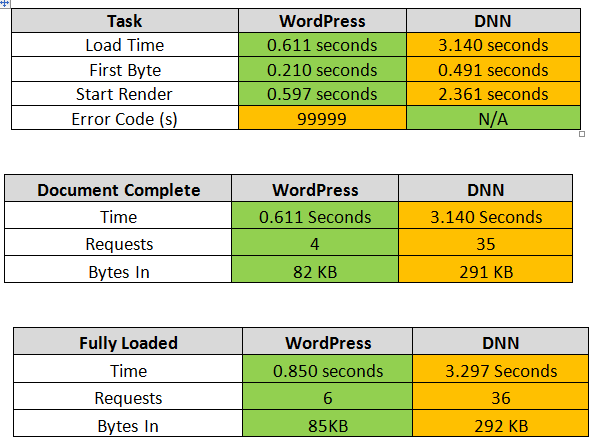 WordPress Vs DNN - Which is faster? We are in the process of building a brand new website for ourselves and we need decide to Content Management System to use. We're don't have the in house resource to build our own and we have decided against Joomla, Drupal and various other popular (but flawed in our opinion) systems. So it's either WordPress or DNN. A critical factor in the decision process for us is the speed at which each system performs. 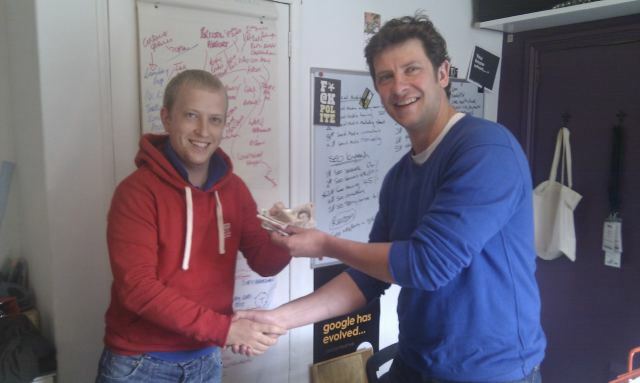 After much discussion, one thing led to another and even money was involved to try and settle the score on which content management system would be faster. We went around the whole office and only I said that WordPress would out preform DNN. Why is the speed of my website important? 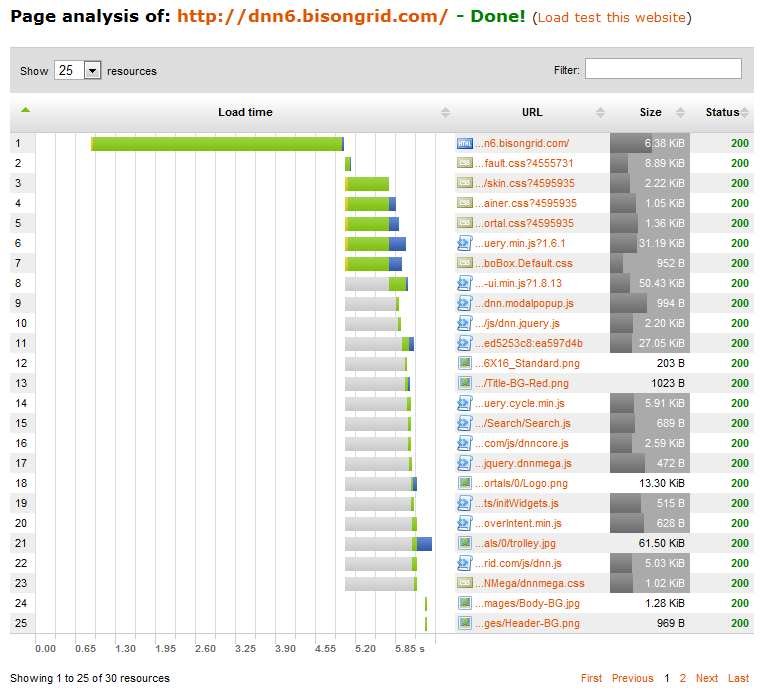 Bison Grid then sent us results from Link Vendor, and as you can see from the image below on the left hand side DNN was faster than WordPress, with the estimated load time results. Next thing we did was to see what happened when we tested both URL’s with Google’s very own Page Speed Labs. The Google page speed labs Page Speed analyses the performance of a website which then gives us some specific suggestions to make our websites faster. 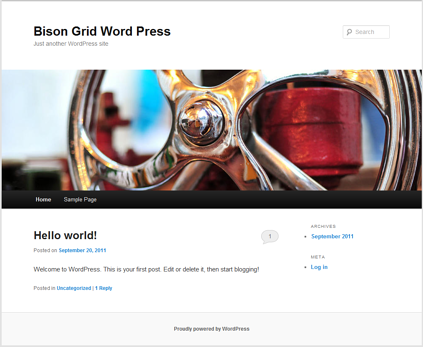 Now, even though DNN was slower than WordPress both sites can be modified slightly and Bison Grid tell me they can further speed up the DNN version by increasing browser cache times. Although if this is an option available to most business users, I don't know. I doubt it. On to the next step. 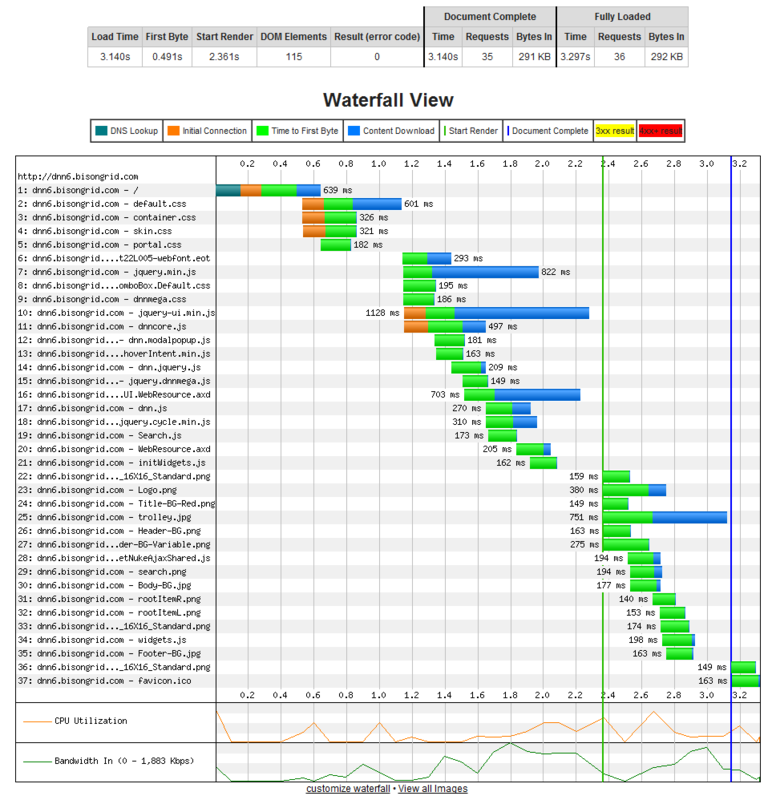 The graphics below compare the process and load times for both sites and for this comparison I used a site called webpagetest. The graphs above show a lot of information about the two websites and immediately you can see that WordPress killed it. 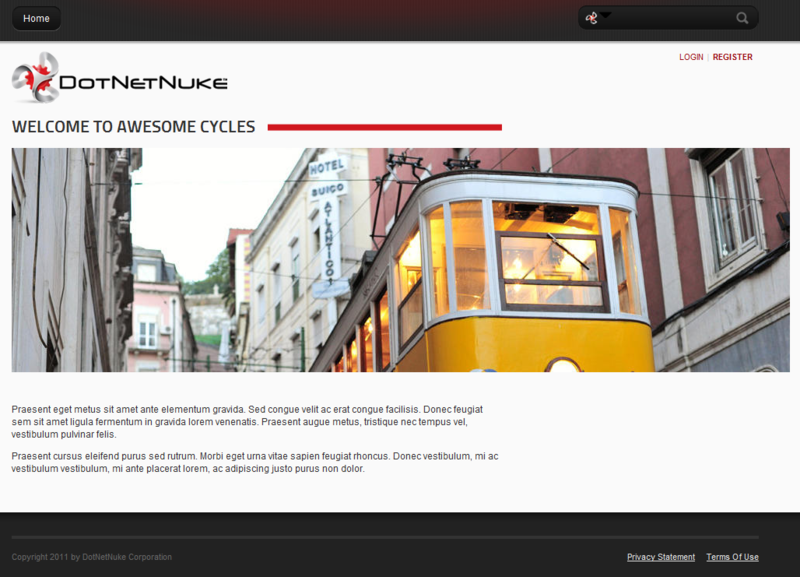 DNN looks a really sluggish by comparison. 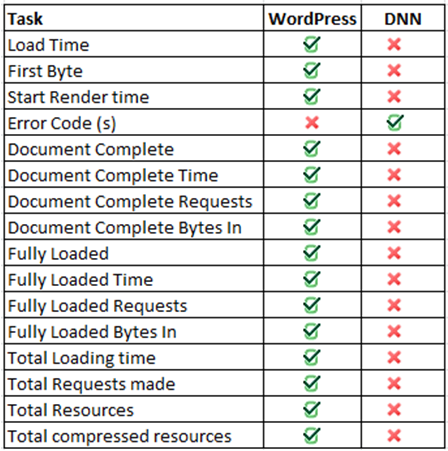 The data shows that the WordPress site is quicker to render than the DNN site. The graphs also show that the WordPress site also had a 404 error whilst being tested, which may have improved the speed of it by a fraction as it had one less thing to load. 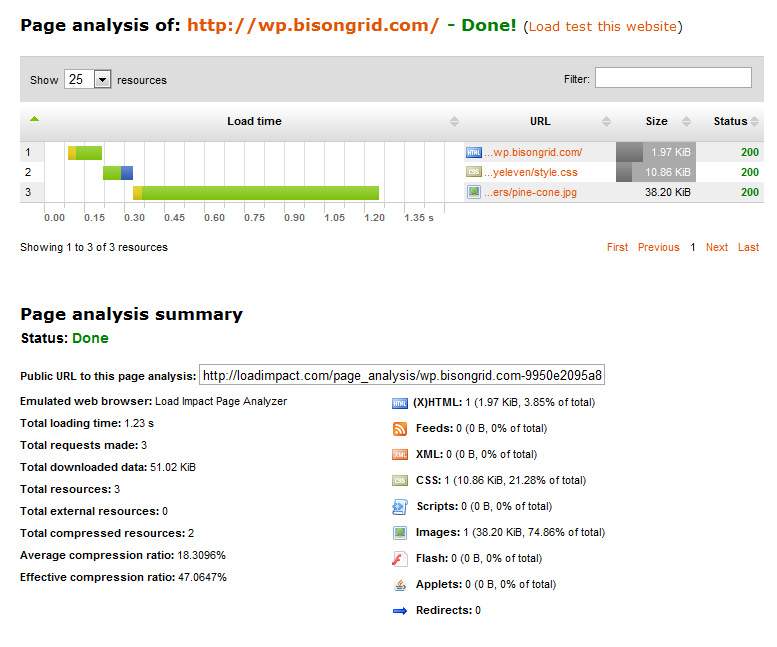 The final website I used to run a test on both sites was called Load Impact. This website is again similar to webpagetest.org, but I wanted to see if it would highlight any more points that may have been missed by any of the others. These results above clearly show that this WordPress website runs a lot faster than a copy running in DNN. 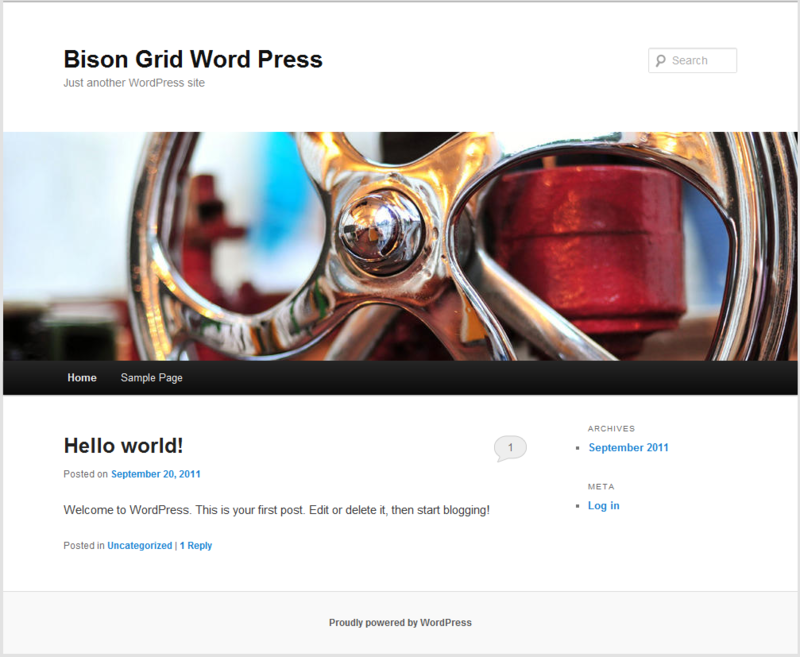 In a straight sprint, out of the box with no plugins installed, or any cache tweaks, WordPress is the clear winner. Secretly, I was a little bit worried about the results, as DNN is new to me and I've been using WordPress for such a long time, I thought I’d bitten off more than I could chew with this outside bet. In spite of these speed tests, we may still look to use DNN as it has some great features that make it so easy to edit and change the pages quickly and easily. 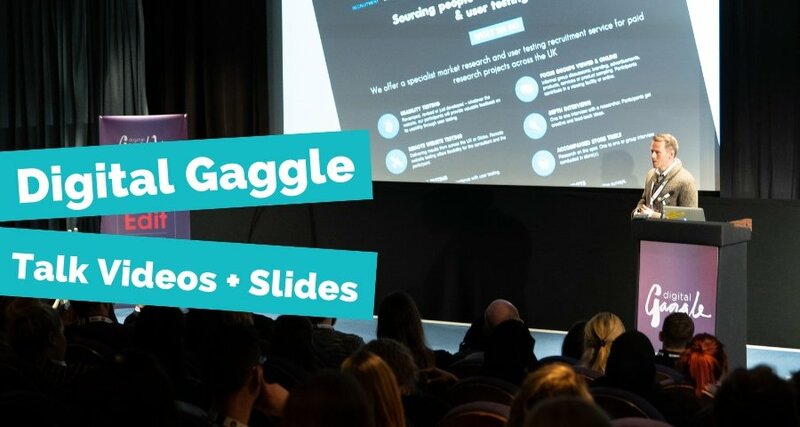 Unlike WordPress where you have to preview the changes, you can simply work on a live page, move images where you want them and move widgets to new places easily. So DNN maybe wins here in terms of ease of use for the average business user. 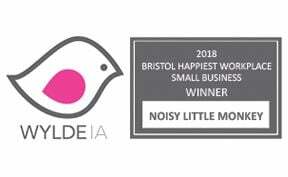 Having said that, in terms of today’s SEO world where page speed is a critical factor, it is important to choose how you build your website carefully. We're doing some more tests now and will share the results once we've tweaked each content management system for speed. 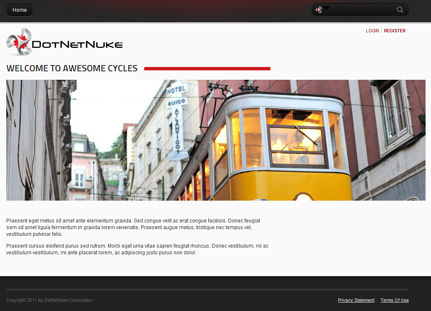 We'll probably also take a look at how they perform on mobile devices since DNN 6.1 has got us all excited about that. Please follow @bisongrid & @NoisyMonkey for news in the meantime. If you are using Firefox and you have access to a Google Webmaster Account you can also download and install a page speed browser add on for your browser, or you can simply view it under the ‘Labs’ tab in your Google webmasters account.